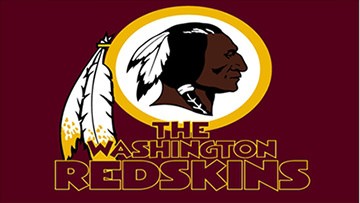 A day after the Washington football team’s trademark of the Redskins name was cancelled, activists are cheering, but the effect is the same. We are still far from home on the range, or anywhere else, where seldom is heard a disparaging word. So the deer and the pro bono attorneys can still play. After having argued publicly in screeds and rants in print and on radio against the use of the Redskins name since the’ 90s, I accept the fact that justice doesn’t race along, it trudges. And the trudgers won a deserving point this week as the Trademark Trial and Appeal Board lifted its protections for the Redskins name. Yet Team Snyder is hardly red-faced and can still use everything they’ve got. And so can counterfeiters. The issue of who gets to share in the profits from NFL rights may ultimately have more to do with shaming the Snyders into submission. But the decision this week only promises more court battles to come. And while my heart goes out to my Native American brothers and sisters on this one, this issue only gets more complicated when you consider who wants to use a name. When I first wrote about the Asian American rock band, The Slants, they were denied a trademark for the use of their name. Simon Tam of the Slants does not equal Dan Snyder, but the Appeal Board’s effect was the same. Denial. The name “slants” was seen as disparaging. That’s a differently nuanced debate than the one we’re involved in now. And when Tam lost his appeal last year on the same “disparagement” issue, I was squarely on his side. I still am. The Slants should be The Slants if they want. But it does make one wonder: Would it matter if Snyder were Native American? The answer is yes, of course it would make a difference. People of color should have a right to take back an epithet and own their name, their identity. Just like taking back the land. Self-determination is a powerful thing. So I’m all for the Washington Snide. Unless, of course, Snyder were to sell the team to a tribe and let them run the NFL gambling interests. But let’s not get ahead of ourselves. 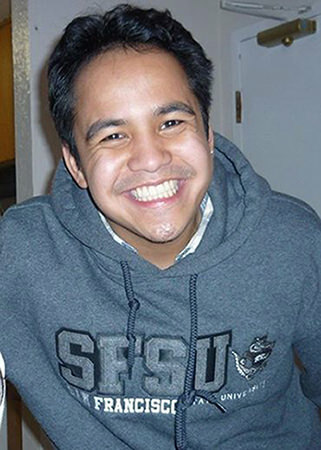 And that brings us to my late cousin Stephen Guillermo. Those of you who follow my column and online musings know that Stephen’s shooting death on May 3 in San Francisco has dominated my thoughts. My cousin, who at 26 was to have graduated with the class of 2014 at San Francisco State, will get to do so this week. The ceremony will be in the Richard Oakes Multicultural Room at SFSU. When most people hear the name Oakes, they assume he was some administrator. Oakes was much more than that. He was one of the pioneers in championing the history and the voice of ethnic peoples in America. 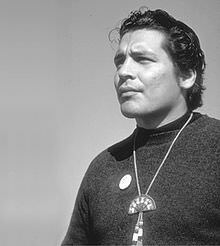 Richard Oakes was a true Mohawk Native American warrior from upstate New York. But he made his name after a bold move to take back the land, specifically Alcatraz Island in San Francisco Bay. He swam to the island and occupied it with other activists from 1969 to 1971. Their goals were simple: to own the island and establish an Indian university and cultural center. The island became a utopian community, but it soon fell apart when Oakes left the island after the accidental death of his 13-year-old stepdaughter. Still, the Oakes-led occupation was not seen as a failure, but as a turning point in the federal government’s stance on Indian self-determination. That Oakes also died years later a victim of a personal handgun makes it more than a coincidence. It’s an act of spiritual symbolism that Stephen’s ceremony will take place in a room named for Oakes. Oakes knew about the slow trudge and the ongoing fight for justice. After Stephen’s death in May, we are only learning about how long a trudge we have. And that makes the posthumous ceremony all the more important–less for Stephen, who doesn’t need it where he is now, but more for the living. For Stephen’s immediate and extended family and friends, this may be the only sense of justice we ever get. The District Attorney, while still waiting for toxicology and medical examiner reports, does not appear inclined to charge a case where the known killer is likely to invoke California’s self-defense law, which presumes the shooter had a right to deadly force against an intruder. Stephen, a slight unassuming man with no malicious intent, mistakenly went into the wrong apartment and was apparently let in by the resident, a retired security guard armed with a handgun. A case like Stephen’s seems an ideal one to challenge the “castle doctrine,” which would allow a gun owner to use a gun and kill an innocent and unarmed man without consequence. So today, lifted by the soaring memory of Richard Oakes, the family accepts the posthumous degree from San Francisco State on Stephen’s behalf, as a mark of the crowning achievement in his short life. But it’s more for us than for my fallen cousin. It’s a small push forward, as we trudge on in the fight for justice.